Here is a list of world’s famous architectural buildings that every photographer with interest in architecture and history would do anything to capture them through their lens; trying every possible aspect (the sunset view, the aerial view or the mirror effect) to get the best. These marvelous beauties have been a source of inspiration for many for hundreds of years now. Soaring to a height of 451.9 meters, the 88-strorey twin structure is Kuala Lumpur’s crown jewel. 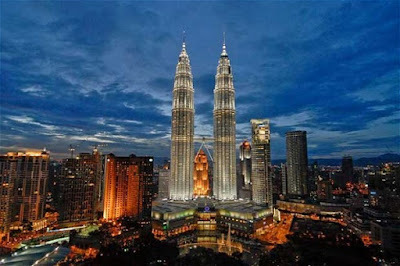 Majestic by day and dazzling at night, the Petronas Twin Tower is an internationally recognized landmark. The towers were designed by Argentine architect, Cesar Pelli, who chose a distinctive style to create a 21st century icon for Kuala Lumpur. 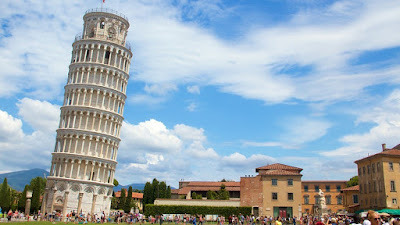 The Leaning Tower of Pisa or more accurately referred to simply as the bell tower or campanile, is one of the most remarkable architectural structures from the medieval Europe. It is located in the Italian town of Pisa, one of the most visited European cities. 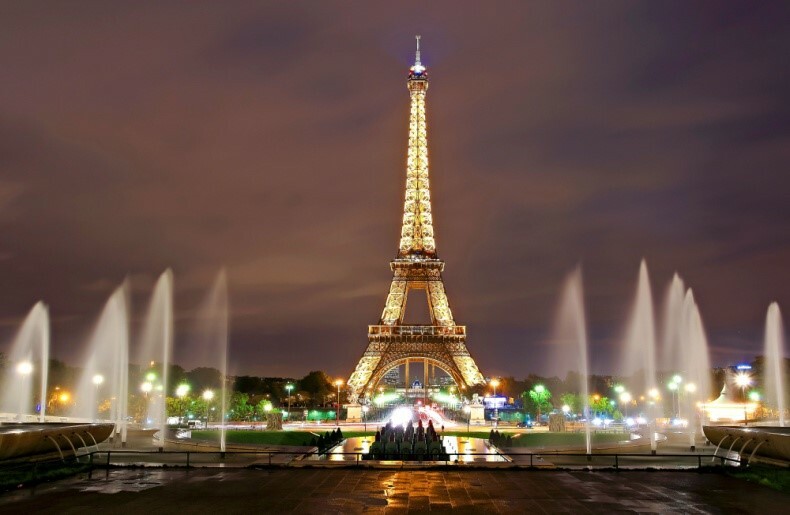 Engineer Gustave Eiffel built this iconic wrought iron lattice tower on the Champs de Mars in Paris, France in the year 1889.It was a defining moment of the industrial era as the structure was completed in 2 years, 2 months and 5 days. 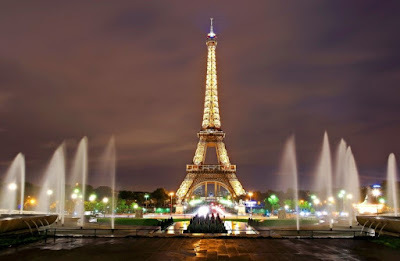 Over the decades Eiffel Tower has seen remarkable achievements, extraordinary light shows and prestigious visitors. It has always been an inspiration for artists from different walks of life. 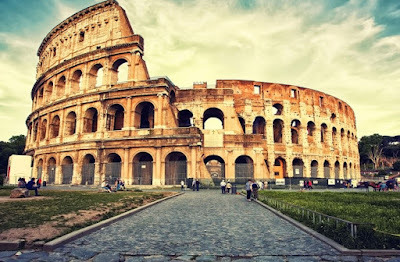 Located just east of the Roman Forum this massive Flavian Amphitheatre known as the Colosseum was commissioned around AD 70-72 by Emperor Vespasian. It has been a site of celebrations, sporting events and bloodsheds. Today it is a major tourist attraction, playing host to 3.9 million visitors each year. 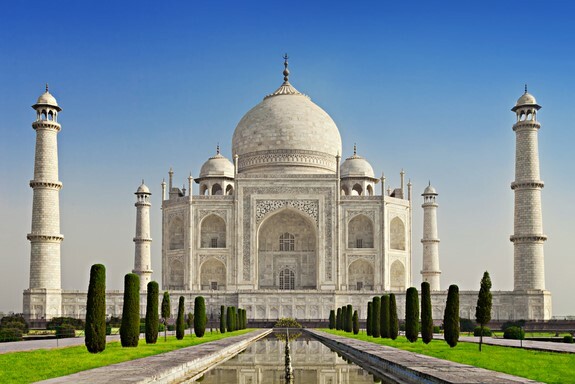 The Taj Mahal is the epitome of Mughal art and one of the most famous buildings in the world. This monument of immeasurable beauty stands majestically on the banks of River Yamuna and is synonymous to love and romance. It is a white marble tomb built in 1631-48 by Mughal emperor Shah Jahan, in the memory of his favorite wife Mumtaz Mahal. The Sydney Opera House is an iconic landmark and has been identifies as one of the 20th century’s most distinctive building. 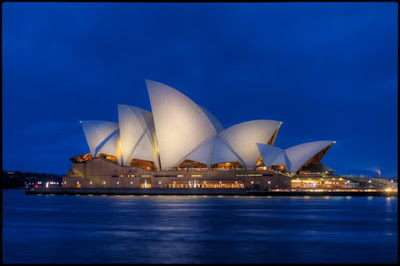 It is a multi-venue performing arts centre and is an icon of Australia’s creative and technical achievement. It design and construction has attracted worldwide acclaim. 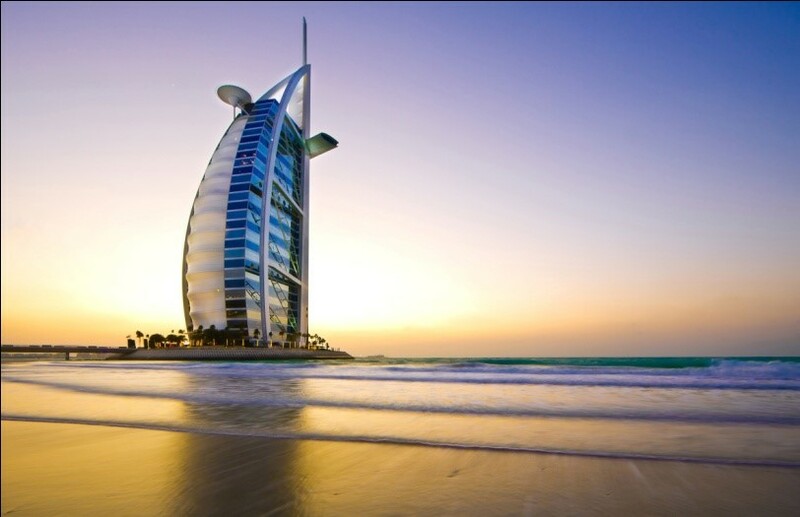 The distinctive sail-shaped silhouette of Burj Al Arab Jumeirah is more than a stunning hotel, it is a symbol of modern Dubai. The hotel stands on an artificial island 280 mts from Jumeirah beach and is connected to the mainland by a private curving bridge. It is the third tallest hotel in the world. 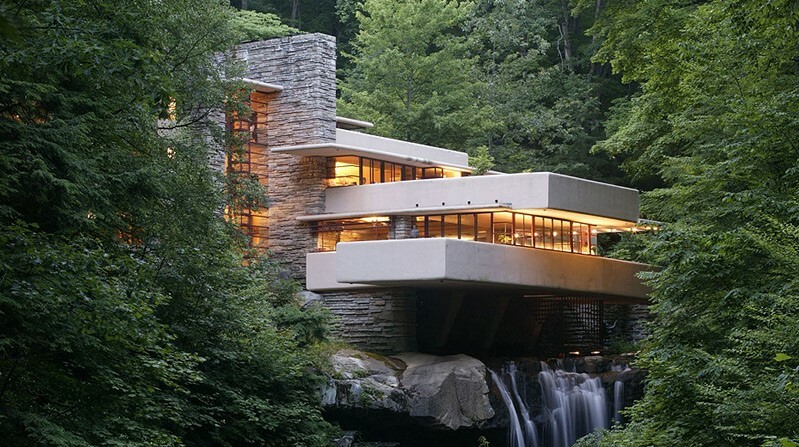 Fallingwater is the house of the Kaufmann family designed by America’s most famous architect, Frank Lloyd Wright. 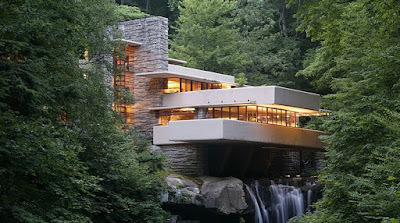 The house was built between 1936 and 1939 over a waterfall in southwest Pennsylvania, 43 miles southeast of Pittsburg. The Kaufmann residence instantly became famous and subsequently in the year 1966 it was designated as a National Historic Landmark. 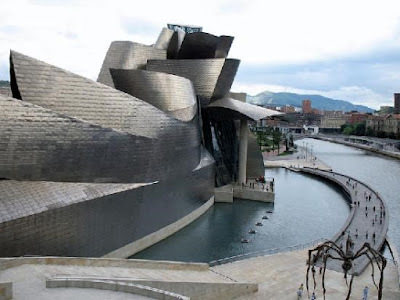 Almost from the moment it opened in 1997, architect, Frank Ghery’s Guggenheim Museum Bilbao, represents a magnificent example of modern and contemporary architecture. The use of cutting-edge computer-aided design technology enabled Ghery to translate poetic forms into reality, thus providing an innovative and seductive backdrop for the art exhibited in it. Burj Khalifa, the mega tall skyscraper in Dubai, United Arab Emirates, is the tallest artificial structure in the world standing at 828 meters. 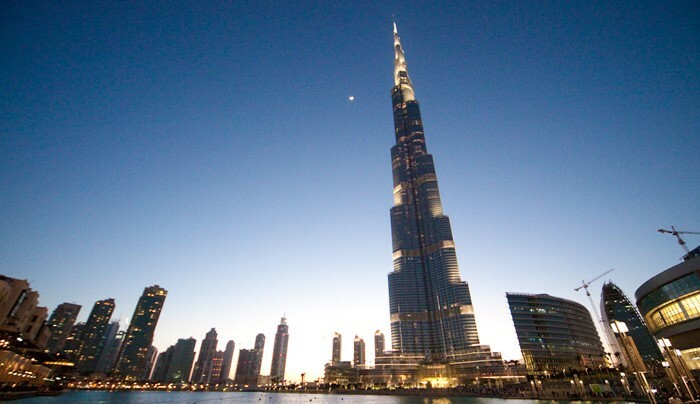 Excavation work for Burj Khalifa began in 2004 and the building was opened in 2010. During its making, the building passed many important milestones on its goal to become the tallest man-made structure the world has ever seen.